In addition to making dishes taste savory and fragrant, there are many benefits of onion that are useful for health. Delicious ingredients made into fried onions, it turns out to be low in calories, fat-free, contains antioxidants, vitamins, and minerals. Red onion is thought to have originated from China, Central Asia, or Southeast Asia and was around 2000 BC. Red onion has even been a staple of Mediterranean, French, American and Dutch cuisine. These tubers are often used as an ingredient in salad sauce, stir-fry, fried seasonings, and sauces to add flavor. Helps protect and maintain body cells to stay healthy. Helps the formation of collagen, and contains antioxidants that protect the body from damage caused by free radicals, toxic chemicals, and pollution. Maintain bones, muscles, and blood vessels. Increases the absorption of iron by the body. This vitamin is found in many animal and vegetable sources, including Red onion. Vitamin B6 plays a role in the formation of red blood cells. Vitamin B6 is also thought to reduce nausea and vomiting in pregnant women. Prevent fetal defects in the womb, and play a role in maintaining maternal and fetal health during pregnancy. Because there is no harm in pregnant women add red onions in the daily diet to increase folate intake. Some studies say that low levels of folate in the body can cause an increased risk of cancer. Although it still needs further investigation, it's good to add folic acid intake through red onion in food. Together with vitamins B6 and B12, folate is thought to play a role in preventing heart disease and stroke. 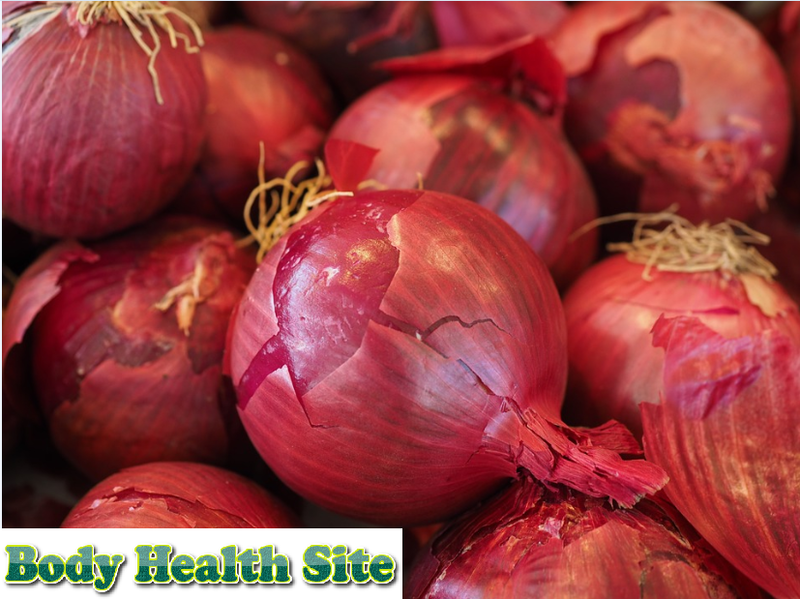 Red onion contains antioxidant flavonoids, which help protect the body from free radicals and can reduce the risk of cancer, heart disease, and diabetes. Research in the laboratory shows that onion extract containing antioxidants can inhibit cancer cell growth. But this data has not been clinically tested. In 100 grams of red onion, it contains about 330 mg of potassium. This mineral, which is one type of electrolyte, plays a role in regulating nerve function, regulating heart rhythm, and preventing high blood pressure. In addition, red onion also contains fiber, carbohydrates, and water. Fiber is the intake of important nutrients that can help maintain the health of the digestive tract. One study showed that women with diabetes who used to consume yogurt and onion had lower blood sugar, cholesterol and triglyceride levels than those who did not eat onion. Some of the benefits of Red onion above so far still need further investigation. In addition, you need to remember that to get the maximum benefits of onion, it must be accompanied by a healthy diet and lifestyle. 0 Response to "Many Benefits of Red onion"